In the latest case of a high school sports team protesting an in-game ruling, the New York State Federation dismissed Long Island Lutheran boys basketball's protest over an excessive timeout technical foul call during the team's Class AA semifinal loss to Archbishop Stepinac; LuHi had alleged that a scorekeeping error caused the technical to occur because the official scorer allegedly charged LuHi with a timeout taken by Stepinac earlier in the game so that it appeared LuHi had used more time outs than it, in fact, had. NY's decision reflects and supports the general NFHS philosophy that outlaws protests, and runs in stark contrast to the purportedly rogue Georgia High School Association's repeated decisions to entertain protests and appeals, though the NYSAIS decision did not pertain to a judgment call as GHSA's did. Related Post: GHSA Affirms Basketball Protest, Orders Replay (1/24/18). The alleged fifth timeout call—which the official book said was the team's sixth [one more than allowed]—occurred with 8.3 seconds remaining in the fourth quarter and the score tied at 72. After converting both technical free throws, and then two more, Stepinac won the contest, 76-72. 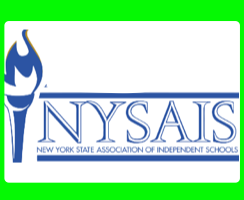 In denying LuHi's protest, the NYSAIS stated that it cannot overturn a clerical mistake. Surmised LuHi athletic director Todd Huebner, "The officials followed protocol, and even though they acknowledged a clerical mistake was made by a person on the book, our protest was not upheld."